A logo should represent the original and distinctive imprint of your business. The process to create a perfect logo has precise rules, techniques and theories that combine art, aesthetics, invention, style, and marketing. This is why a logo, as well as a business card, is the synthesis of the company philosophy, the nature of the products and the distinctive style of a business. Small or large, or whatever proportion they are, it should be aimed to communicate and get in touch with the public and potential customers. – must be original. It should be unique, different than any others. So, are you ready to create your logo? In this post, I’m going to introduce you Placeit, an online tool that you can use to build a catchy logo for your business! After you sign up, either with your email or with an existing Envato account, you will be able to begin working on your logo creation. First, add your business or company name. And many more, like Medical, Restaurant, and Sport. 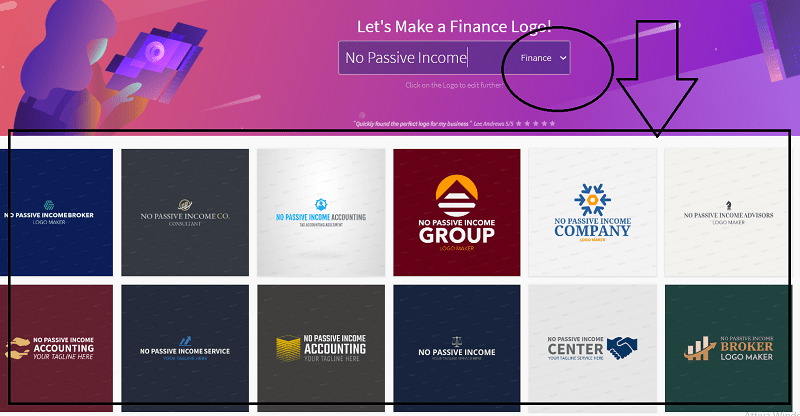 Once you select a category, a number of examples of logos will appear on the page and all you have to do is choose your favorite one. You can see a wide choice of templates, where you can pick your favorite one. Let’s make another example. With “Technology” category, there are some other clever designs. They can be suitable for many businesses, such as gaming, or a pc-repair store, or a web development company. While you browse among the many categories, you can change the business name, so to update automatically all the templates showcased. There’s really a large variety of logos for different industries! Just try it out. Now, let’s proceed to make a logo for Erik Emanuelli, as a writer. Among all the templates offered, I liked the “Freelance Writer” one. Like I did, all you have to do is click on your favorite one, so to have the template editor opened: Here, you can make interactive editing, while staying on the same page. Everything happens in your browser. No need for extra plugins or software. You can edit the text, like your business/company name and your tagline. Change the font for both of them with the one you like more. You can also change the main graphic, selecting from tens of options. Of course, you can make as many changes as you like before download. Something like the following one looked nice to me! The unlimited subscription is 29 USD and it includes logos, images, design templates, and videos. You will get a 4000×4000 pixels PNG image, with no watermark and unlimited license. It includes any mockup you want to make, such as T-shirts, mug or apparel mockups. You can also create unlimited videos like for an Instagram story, for example. And even a text animation. Or, make tons of designs, such as ads, flyers, business cards or book covers. In this post, we have seen how you can create the perfect logo for your business. But you can leverage the power of this tool even more, by building many other designs. Whether you’re a T-shirt seller, a web app developer, an author or a business owner, Placeit has mockups and design templates that are just what your business needs to stand out from the competition and look incredible. The fact that you don’t need to hire a graphic designer or be one to create phenomenal designs is really important, especially for small business owners or startups. With a library of more than 18,000 smart templates, I’m sure you can find the perfect design for anything you need. Are you going to test Placeit? Please share your feedback or experience in the comments below, thanks! So cool Erik. We live in a day and age where bloggers have no excuses; virtually all can be done on a budget. Up to every blogger to use these tools, to succeed. Very nice post as always. Really, I have heard about “Placeit” for the first time and you have provided a great review about this tool. I usually use software like Photoshop and illustrator to create logo, but there are many online tools available which helps in creating professional logo in an easier way. I will surely try this tool. I’ve used Placeit to make mockups for some of my t-shirt designs. It’s a really handy website. Placeit is an online mockup generator that allows placing the image screenshot and logo on a specific image. If anyone is looking for a more extensive library than smartmockups then we should choose to the placeit. It has fewer features that are slightly more difficult to use and it has about 2000 images, The quality of the images is not in an pixel quality and lower than the average. it is also more expensive pricing than mock-up generator.